According to UFC President Dana White there is a good chance that a Yoel Romero vs Robert Whittaker fight is possible! LatinoAthlete.com has learned that since the UFC’s middleweight title fight between champion Michael Bisping and former welterweight champion Georges St-Pierre were scrapped, things have changed. Currently, White is putting together a Bisping’s title fight, against most notably #1 ranked Yoel Romero. However, Dana White told ESPN’s Brett Okamoto that he is prepared in case a Bisping-Romero not come to fruition. 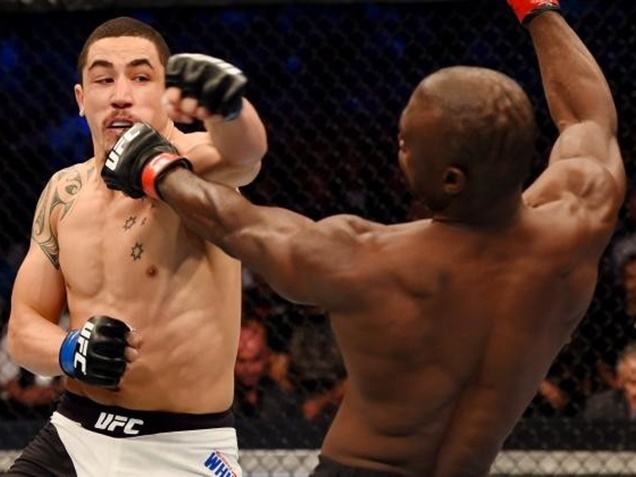 What will make this fight extraordinarily great is that Whittaker is coming off a sensational TKO win over Ronaldo Souza at UFC on FOX 24 in April. He will be a perfect match against Yoel Romero, since Romero is 8-0 since dropping down from light heavyweight. Whittaker is a perfect 6-0 since moving up to middleweight. This would be a first for the UFC since there has never been an interim middleweight title fight in UFC history. As we told you earlier this week, current champion Tyron Woodley is on course to face Demian Maia.